With three albums’ worth of music in just five years, 22-year-old Randolph Chabot has been producing his home-recorded electro-pop at an astonishing clip. 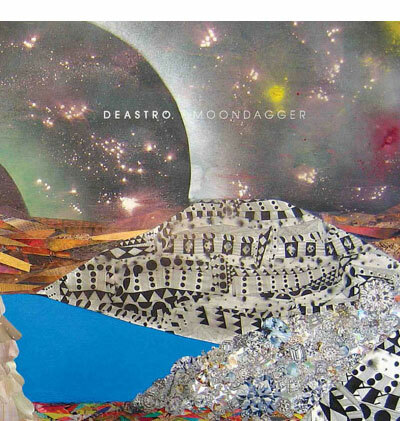 This week, after much anticipation, the prolific prodigy from Detroit has released his proper full-length debut, Moondagger — a swirling set of twelve songs whose titular implement reportedly refers to a space-age myth about seeking “ultimate power.” Sci-fi fantasies aside, Moondagger indeed seems to herald a powerful voice of tomorrow, a voice that likewise befits today’s age of ADD. On “Toxic Crusaders”, Chabot’s swooning vocals over jaunty guitars evoke the wide-eyed wistfulness of Vampire Weekend mixed with the hyperactive futurism of New Order. Meanwhile, “Parallelogram” (stream below) launches the M83 model of lush, spacey synths out of this stratosphere with a frenzied rush of propulsive rhythms.